Every holiday season, 450 year old St. Augustine, Florida lights its buildings and streets with millions of white lights for the Nights of Lights display which has been named one of the ten best holiday light displays in the world. Just minutes from historic St. Augustine, the Renaissance World Golf Village Resort offers exceptional rooms and suites, a museum and two world-class golf courses created by Arnold Palmer, Jack Nicklaus, Sam Snead and Gene Sarazen. Put the St. Augustine Nights of Lights and the Renaissance World Golf Village Resort together and you have a perfect holiday getaway. Luckily, the Renaissance World Golf Village Resort offers three different options for excellent accommodations and easy access to this world-class holiday display. 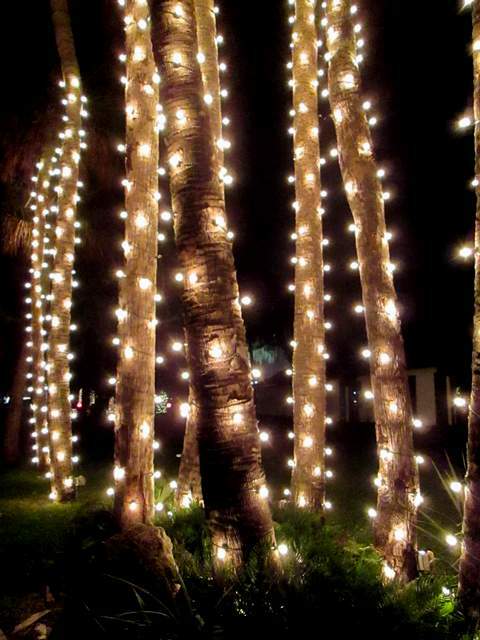 * The “Family Nights of Lights Package” includes deluxe accommodations for one night, a welcome amenity of Cookies and Milk, complimentary shuttle transportation to and from Old Town St. Augustine, and a breakfast buffet for two adults, and up to three children. The package is from $249 per room, per night, plus tax. * The “Nights of Lights Romance For Two Package” includes deluxe accommodations for one night, a bottle of Moet & Chandon White Star, local chocolates, shuttle transportation to and from Old Town St. Augustine, a romantic carriage ride in historic St. Augustine, and breakfast in bed for two. The package is from $299 per room, per night. * The “Ultimate Nights of Lights Package” includes the Presidential Suite for one night, a 5-hour limousine tour to see the lights, a bottle of Moet & Chandon White Star, one dozen red roses, and breakfast in bed for two. The package is $2,500 per night. These Nights of Lights packages are available through January 31, 2016 to coincide with the “Nights of Lights” celebration. Reference internet booking code YXI when making the reservation for any of the three packages. The resort is right off I-95 so it is very accessible and their free self-parking is a valuable asset when many properties are now charging up to $40 a day to park in their lots. A complimentary shuttle to and from historic downtown St. Augustine and to the beach is available for hotel guests. Just steps from the resort, the World Golf Hall of Fame & Museum has exhibits that educate and entertain while paying homage to the legends of the game. * Capture a keepsake photo on a replica of St. Andrews' Swilcan Burn Bridge. And don’t forget that Murray Bros. Caddyshack, the famous restaurant from comedian Bill Murray and his brothers, is right next door to the Renaissance World Golf Village Resort. You never know when Murray might drop in.